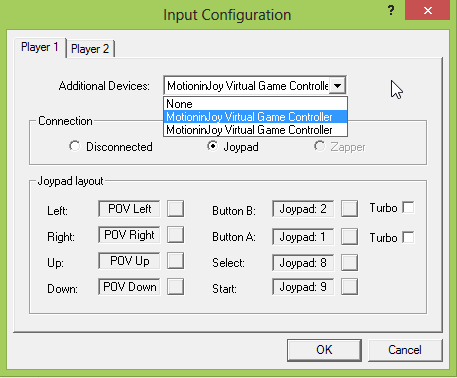 How To Use MotioninJoy to Connect PS3 Controllers Via USB | Welcome to the Underground. If you have Windows 7 or 8, you will need to use the MotioninJoy program, although it will still work fine for older operating systems. 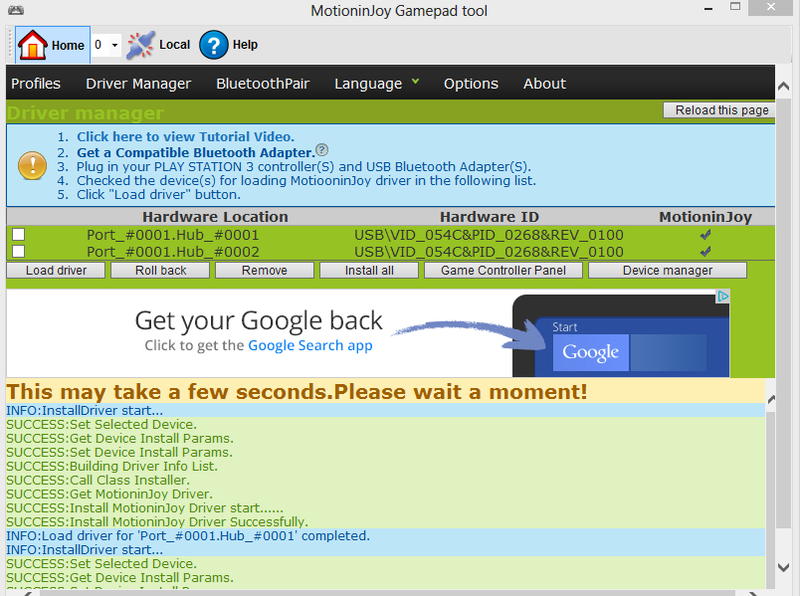 Using the MotioninJoy program, you can connect your PS3 controller to the PC via bluetooth, but today’s tutorial will be focused strictly on the USB method, and in this case, using two PS3 controllers connected at same time to the same computer. Using this method, I was able to play an NES emulator (JNES) with Battletoads and had two player local play. It was awesome! 2) After it is installed, I want you to connect your PS3 controller(s). Now in the main screen, select your drivers and load them. 3) Afterwards, click the Profiles tab, and if all is well, you will see your PS3 controller(s) in the dropdown. Configure appropriately. 4) You know if all is well if you go to the Control Panel to configure your controllers, and you can map everything. below screenshot shows my control panel. 5) Then your PS3 controllers should be recognized in any game or other program. I am using JNES, which is an emulator program, and you can see that my PS3 controllers are available for usage. So that’s it. Pretty easy, enjoy! 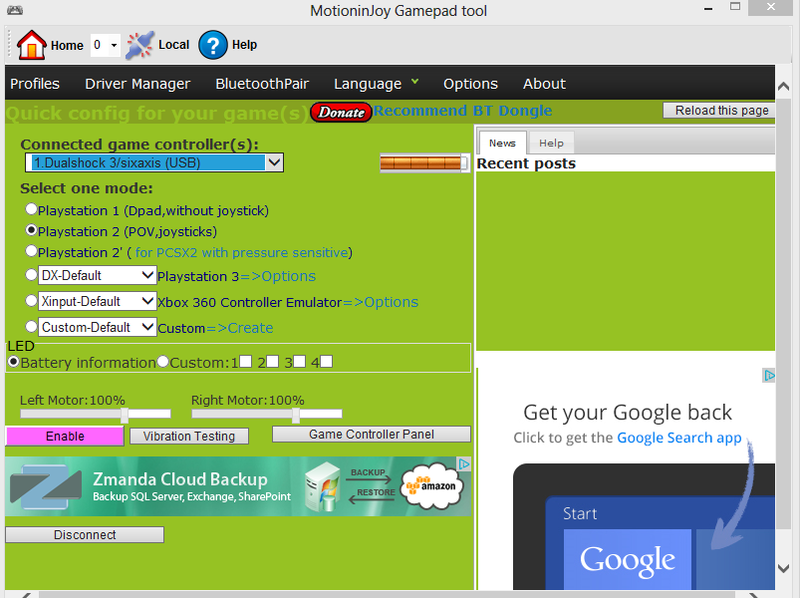 Posted on November 24, 2012, in Tutorials and tagged how to use ps3 controllers with PC USB, motioninjoy, ps3. Bookmark the permalink. 25 Comments. You can get it from the main motioninjoy site. See my zippyshare link at youtube video. Hey, so I followed all these steps, my controller vibrates, and is configured appropriately. However, the only problem is that it STILL DOESNT control on screen or in game? I calibrated it, everything works, but it just doesn’t work to control my mouse on my desktop or in game. am I missing anouther program? O am so frusterated. can you please email response back to RickM1@live.com? check on option xbox 360 emulator>press enable> some driver installation>press ps button on controller and no it will work as 360 controller for windows(no motion sensor)…….i never had an issue! MW2 is too hard to make controllers work, its like you got to mess with joy2key to make it work. Not worth the hassle. 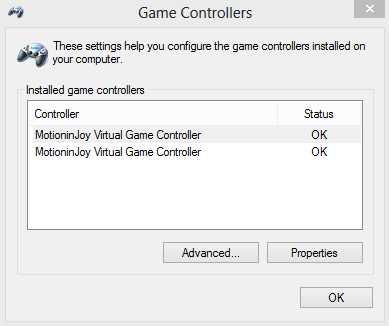 So my computer recognizes my controller but motionjoy wont even pull it up in the list of drives…its an xbox 360 afterglow controller, anyone know whats going on? This is doing my head in, I can get my ps3 controller to work in games, but my square button wont work at all and all the other triangle, cross etc work as the one button if you get what I am saying. Argh hard to explain but can not work out how to reconfigure the silly thing. I don’t know why, but Motioninjoy comes up as a ZIP folder. So I try to extract everything and the computer says “Cannot Complete the Compressed (zipped) Folder Extraction Wizard.” I’ve tried everything to fix it. Please help! The driver isn’t available anymore. Every time I open Motioninjoy I just get, “Error request could not be satisfied”. How about use scp ds3 drivers?